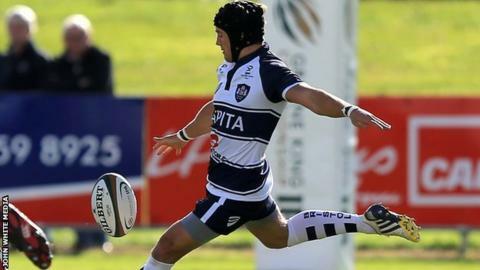 Bristol fly-half Matthew Morgan has been ruled out of action for three months after fracturing his ankle. The Wales international, who has scored 64 points in five Championship games this season, suffered the injury in Sunday's win over Moseley. Morgan, 22, is in his first season at Bristol, having signed from Ospreys over the summer. Meanwhile, number eight Ben Skirving is set to be out for six weeks after breaking his jaw in a reserve game. League leaders Bristol now have a month's break from Championship action as they head into their British and Irish Cup campaign, starting against Connacht on Sunday.